Found 93 blog entries for January 2013. Thursday, January 31st, 2013 at 2:04pm. Mortgage lenders have tightened requirements across the board in the wake of the housing crisis, but now—even as the workforce increasingly moves away from traditional 9-to-5 employment—self-employed borrowers have a tougher time securing a mortgage. It's an issue felt by many, as the Small Business Administration reported that the number of Americans who were self-employed approached 9.9 million in the second quarter of 2012. Thursday, January 31st, 2013 at 1:26pm. The Cascade Team Real Estate is now displaying ALL “Open House” information for EVERY brokerage! Simply click here for: All Open House Information. Looking for open house information. Here are all the open houses currently scheduled for Seattle and the Eastside. If you are looking for an area that is not currently displayed on this map, use our advanced home search and select open house and the city for your search criteria. If you have any questions, please contact us. Thursday, January 31st, 2013 at 8:47am. Wednesday, January 30th, 2013 at 10:23am. 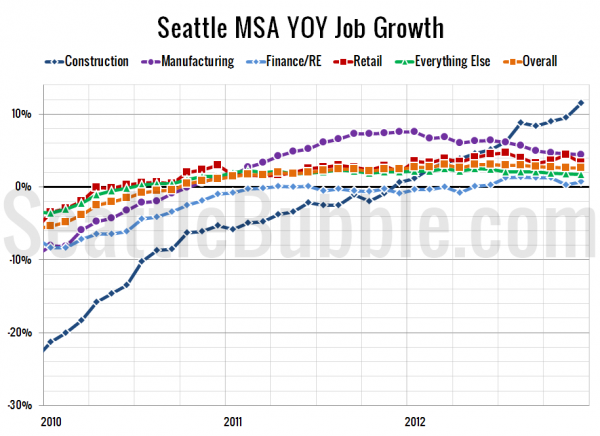 Here's an interesting article by The Tim on Seattlebubble.com. These chart the market recovery. And instead of the winter/holiday seasonal dropoff that normally happens, we actually had a lift in the Seattle area. Low inventory levels definitely contributed to that, but it still is a very positive indicator of a market recovery. Tuesday, January 29th, 2013 at 7:07pm. Tuesday, January 29th, 2013 at 6:43pm. Verrado home sales continue to be a little on the slow, however inventory levels have climbed a little over the last couple weeks with 74 active Verrado homes for sale (including those under contract but accepting back up offers), with 4 short sales and now 3 bank owned homes. There are currently 23 pending homes in Verrado, with 8 being new home construction. Overall, new construction home activity remains brisk, as activity from the Verrado Open House weekend appeared very strong. In addition, there have been 45 Verrado homes sold over the last 90 days, with an average closed price of $267,375; which was 99% of the asking price and 72 cummulative days on market. Of this 23 were Verrado real estate resales and 22 were new construction homes. Tuesday, January 29th, 2013 at 11:54am. 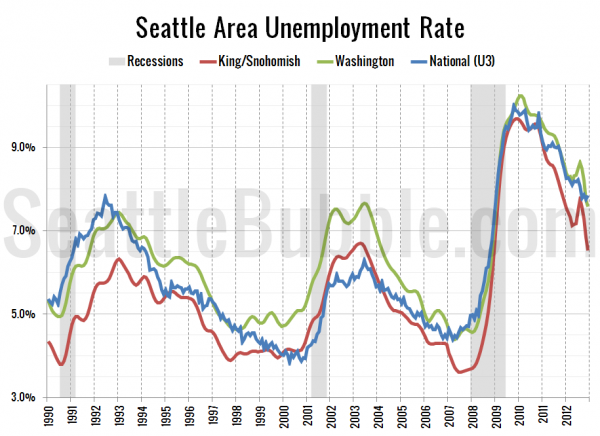 Let’s have a look at the Seattle area’s employment situation. Construction is posting gangbuster gains—up 11.5% year-over-year—as homebuilders attempt to capitalize on the inventory crunch. Finance / Real Estate is posting the smallest gains at just 0.8% year-over-year growth. Tuesday, January 29th, 2013 at 9:02am. Tuesday, January 29th, 2013 at 7:52am. Monday, January 28th, 2013 at 7:10pm. We are very happy to welcome Audrey Muir to The Cascade Team San Diego Office. Audrey is a full service realtor that specializes in the San Diego area where she grow up and lives. Audrey is familiar with both the new home construction and the residential resale markets. She has the knowledge, resources, and expertise to market your home effectively, and to help you choose the right neighborhood, the right schools and the right builder for you and your family.